Feel Good With Flowers - Blog: NZ Flowers Week 2018 Roundup! 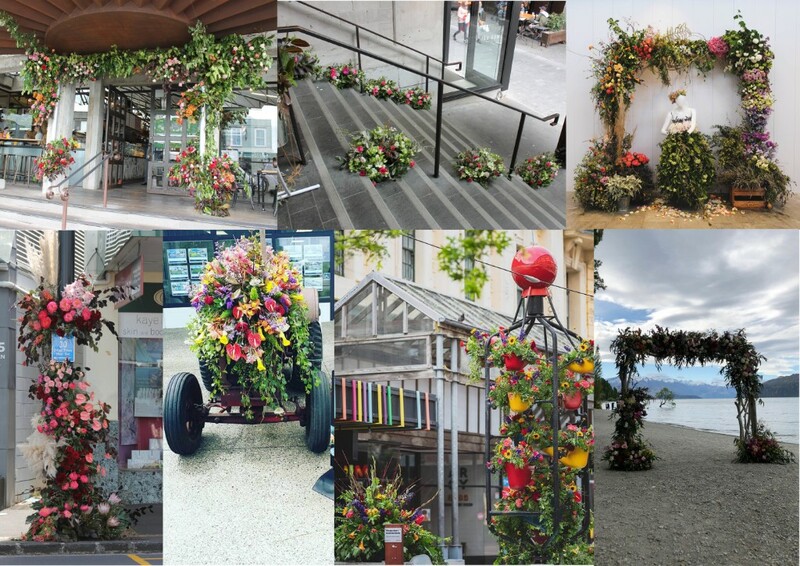 Now in it's third year, NZ Flowers Week is beginning to pick up momentum as florists, growers and consumers celebrate the NZ Flower industry and all the beautiful blooms grown here on our soil. They were all brought up to Auckland for our two day 'design sessions' where they all created beautiful work to our theme 'My Journey with Flowers'. It's always a buzzy feeling having 5 creatives in one room inspiring each other. You can check out some of the designs below, but for the full galleries head to the NZ Flowers Week website by clicking here. This year we also featured two local growers, Utopia Orchids and Shipherd Nurseries. Two incredible videos were created showcasing their incredible properties and thoughts on the flower industry. It is such an important element of NZ Flowers Week, as without these growers, we wouldn't have any domestic product. They put their life and soul into their work, battling the unpredictable weather to grow good quality flowers. You can view these videos by clicking here. 7 florists took up the opportunity to create live installations during the week. They were all beautiful and each one was completely unique and different to the others. From left to right: Rose Tinted Flowers, Snickel Lane Florist, Bourbon Rose, Roses Florist, Soul Flower Karaka, Melissa Jane Flower Studio and The Green Room Flower Company. We were lucky enough to have Evie Kemp and Julia Atkinson on board this year, covering their week on their social media channels and blog. Evie visited the Auckland auction to witness what happens 'Behind the Scenes' for many floral retailers. She was also the stylist for our collaboration with Dulux, pairing locally grown flowers with the Dulux Colours of New Zealand paint range. It was a busy week for Evie as she also visited Rose Tinted Flowers in Ponsonby, Auckland, to help set up their floral archway. Julia visited The Crossing in Christchurch, to help Bourbon Rose set up a floral display. She also had a lovely chat to her followers on instagram about her own journey with flowers and the reasons why we should be NZ grown blooms. Both Evie and Julia had extremely positive feedback on the week and are keen to celebrate it again in 2019! The media and social coverage around the week grew significantly this year. With features in Viva, Homes to Love, Metro and more, it was great to see some buzz around the event. The #NZFlowersWeek hashtag was used frequently by both florists and consumers. All in all, Feel Good With Flowers would like to thank everyone who got on board and supported NZ Flowers Week this year. Here's hoping for an even bigger week in 2019!